I had to order something from B&H a while ago and to get free shipping to Canada, I needed to bump up my order. 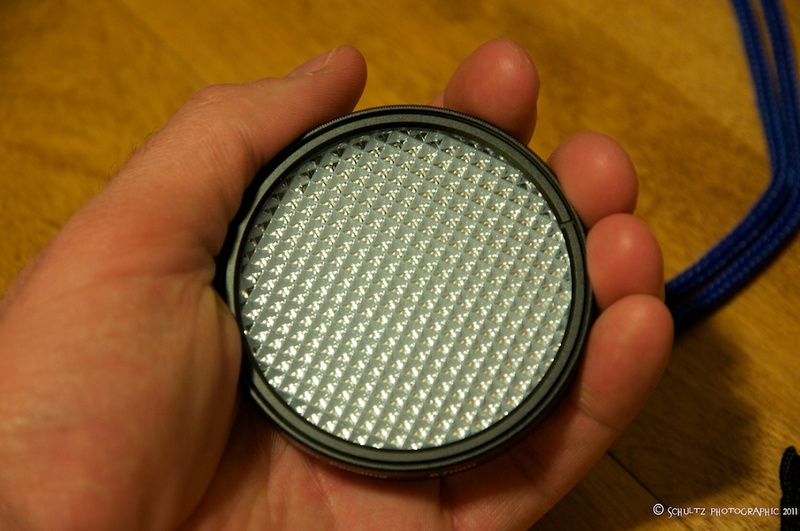 So I ordered a grid for my Photoflex Medium Litedom soft box. Grids are ridiculously expensive for softboxes, leading one to believe they are made of Unicorn Tears and Saskatchewan seal skin bindings. Or some such other mystical material. So I ordered the Impact brand 24×32 grid. It works and fits like a charm for the Photoflex box. 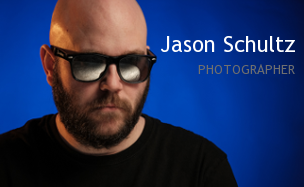 I should have had a grid on that soft box from forever ago. They are so perfect for controlling light spill and adding amazing direction to the light. I hadn’t had a chance to even try it out much so I grabbed Ethan and some gear and we went outside to cash in on the amazing hoarfrost that stuck around all day. In the really blue shots, I was playing with color temperature and gels. I went with a tungsten balance to shift the image to blue, then double CTO gelled my flash to bring the light back to a really nice warm temp. It’s a very interesting contrast in the light colours. For the other shots I used a simple overcast warmer temperature of around 6300K with a 1/4 CTO gel to give a bit warmer skin tone. The control that the grid gives is superb. There is no spill around the subject to illuminate everything. If you want to keep an image interesting, then pay close attention to what isn’t lit. The full sun results were more subtle as to be expected. I also did some test shots in the shade. Click the pictures to embiggen. The shade white balance was more easily detected. So there you have it, aside from a cloudy white balance test which will have to wait for another day. Unless you live in Arizona sunshine, the Expodisc pays off in nearly all white balance situations! White Balance Woes? Hello Expodisc!!! I never really paid much attention to white balance after I began shooting RAW because, let’s face it, you can make the WB anything you want when you process RAW files. That being said, when you watch videos done by professional photographers, they are the first to tell you to get as much of your image right in camera because it’s less time in front of the computer later on. Which is true. And, it helps you be a better photographer because you are learning the craft more when you do stuff properly in camera. White balance – as easy as it is to fix in Aperture & Lightroom – is one of those major image components that is better done right first. I decided to do some test shots with it last night after the sun had set. The trickiest white balances are always under man-made light, like say in a heinously lit small town hockey rink. But what about when you have a room with incandescent bulbs mixed with compact fluorescents? What do you set your WB to? The modes that the camera has are only generalizations after all, far from exact. These situations make the expodisc worth the cash. The first situation I tried was a room lit by compact fluorescent bulbs. I setup the camera and my subjects, did a custom WB with the expodisc, then did an Auto WB and a Fluorescent WB shot. Take a look at the difference! Click on the photos for a larger view. This next test shot is lit by old school fluorescent tube lighting – one of the worst to White Balance because they change color/temperature over time. Same format: Expodisc, Auto, Fluorescent. Only on-camera flash as the light source (notice the heinous shadow caused by the lens?) 😉 Expodisc/Auto/Flash WB setting. So, you be the judge. I think the difference is tremendous! 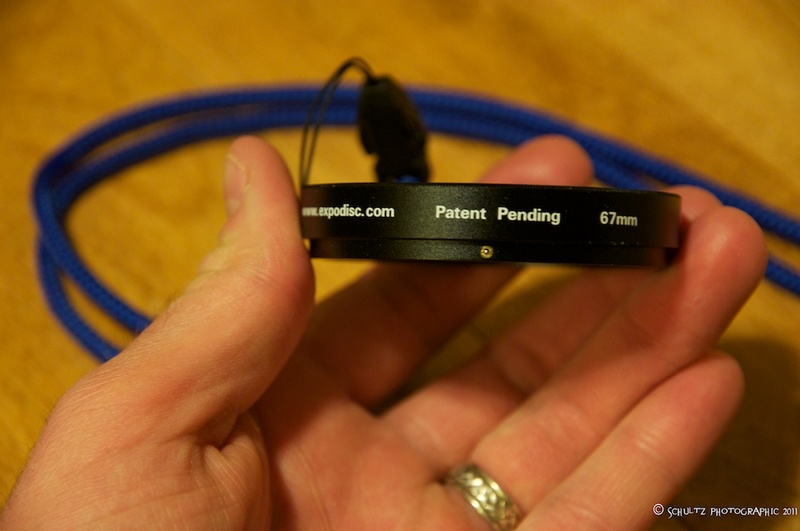 In summary, if you shoot only .JPG then the expodisc is a necessity that would never not be with me on any shoot ever. You can’t change the white balance as easily on a .JPG image so getting it right in camera is necessary for accurate color. If you shoot RAW, I also think it’s a useful tool, especially for tricky lighting scenarios and for portraits that you need to have the color bang on. 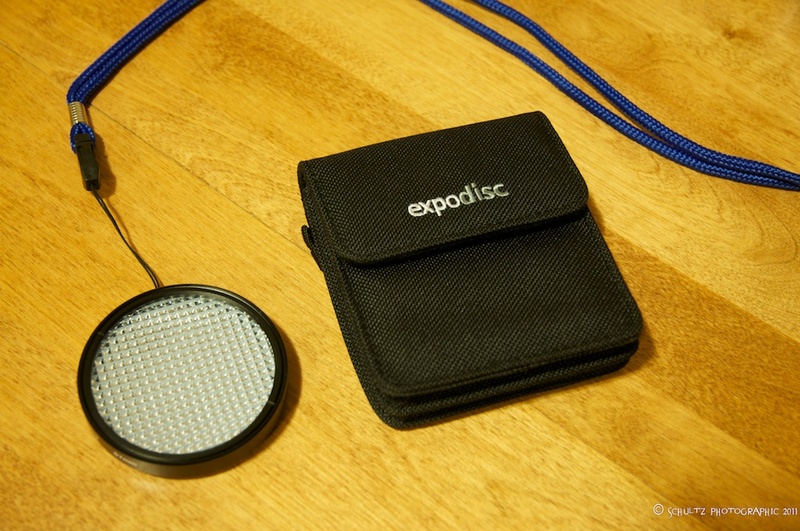 One final recommendation, they make expodiscs in many sizes for different lenses. I bought the 67mm size (because the majority of my lenses are 67mm) but it will also work on smaller lenses too, just by holding the expodisc on front of the lens. It won’t click into place like it does when it properly fits a lens, but it’s only there for 3 seconds (on Nikon) 😉 anyways. 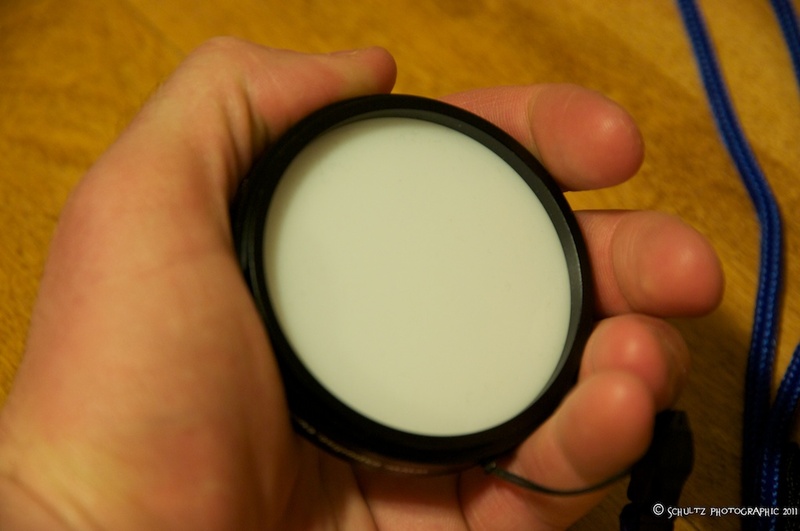 So, buy the biggest one you can because it will also work on your smaller diameter lenses too – more bang for your buck! I bought mine at Don’s Photo in Regina. I woke up this morning and looked out my bedroom window and behold! 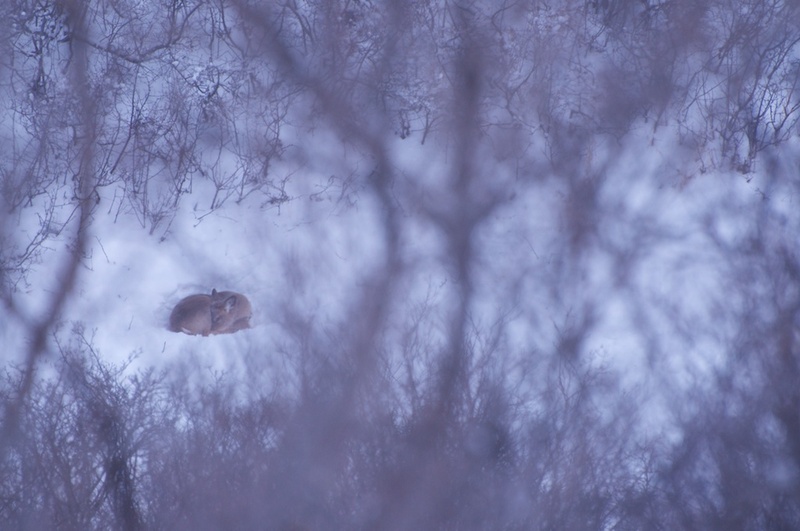 There was a Whitetailed Deer snuggled into a snow bank across the ravine from our house. And not only that, she was framed inside a natural vignette! It was pretty cool looking, so I ran for my camera. After taking the window opener apart, I was able to get my camera in place to compose the shot the way I wanted to. There were a couple of challenges to over come though. The first was as it was early morning, the light was garbage. I couldn’t setup a tripod because my bed is in the way. So I braced the camera on the window frame itself to try to make a rest. I tried a pillow too but there was too much shake. 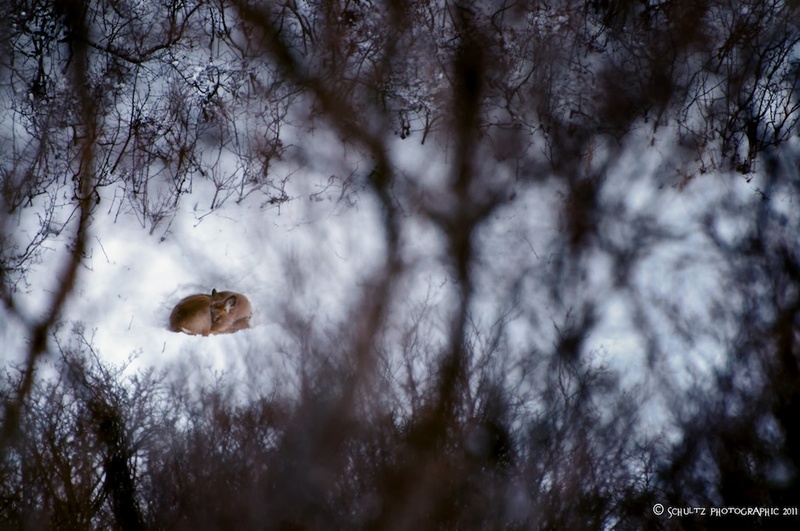 My 70-300 has the VR technology which helped but with an aperture of only f/5.6 it wasn’t what I would call optimal. So I had to crank my ISO to try to get a sharp image. As a result, the image quality degraded more than I would have liked. I waited a little while for more light and I was able to drop the ISO to 800 and still get a reasonable shot, but it was still too noisy for my liking. I dropped the files into Aperture and fired up my Dfine 2.0 plugin from Nik. Pure awesomeness results! It magically cleans up the noise without eliminating all the detail from the shot. See the 100% Crop. As you can see, it is magic for cleaning up noise. Next, I had to fix the color. The early morning light was still too blue. I screwed up by not having my white balance on shade to warm it up to where it needed to be. Thanks be to RAW! 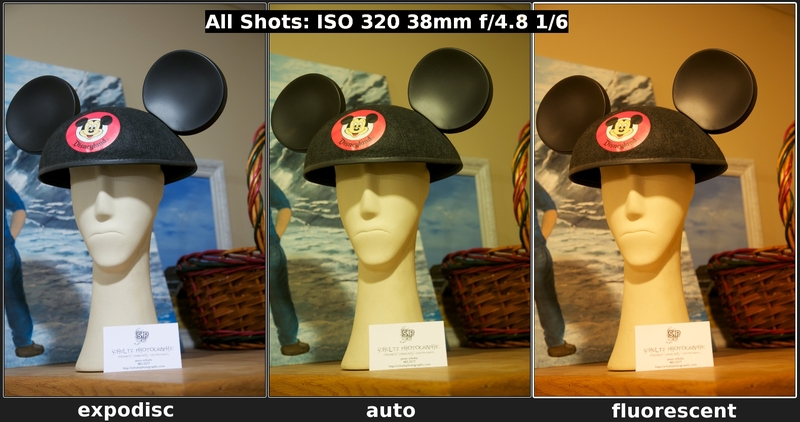 I was able to change the white balance in Aperture and warmed it up substantially. I also did some some tweaking with Color eFex 3.0 to adjust the contrast and enhance the natural vignette by brightening the spot where the deer was lying. A couple other touchups and I had the final image I was happy with!